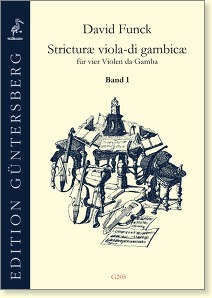 Funck’s Stricturae number among the standard German works for viol consort. Moreover, they belong to the relatively few works in this genre for four bass viols, even if other scorings are sometimes possible (e.g. TrTBB). Because of the varying degrees of difficulty, the collection contains something for every consort. 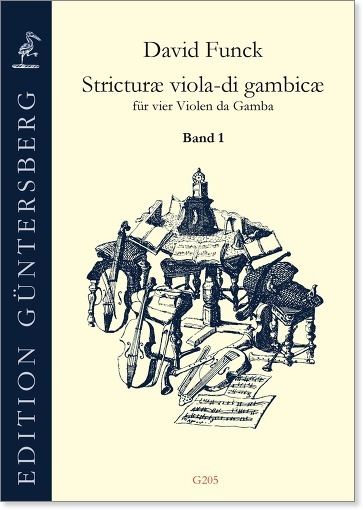 Until now, however, a modern edition for viols has been lacking, and we wish to remedy this shortcoming with our new edition. After all, it would be a shame to completely relinquish these remarkable pieces, which according to the title and contents are clearly intended for viols, to the cellists and recorder players.